Hello friends. So nice to be sharing with you once again. Today I am sharing one of our newer stamp sets from the Occasion Catalog called "Friendship's Sweetest Thoughts". Getting a little off point here, I have been trying to unclutter my small craft room. I'm running out of room. That brings us back to todays card. I used some outdated designer paper and paired it with our Rich Razzleberry cardstock. I stamped the image with Memento ink and used my copics to color it. It's unbelievable how many copic colors you can drag out. I have approx. 20+ marker sitting on my desk. 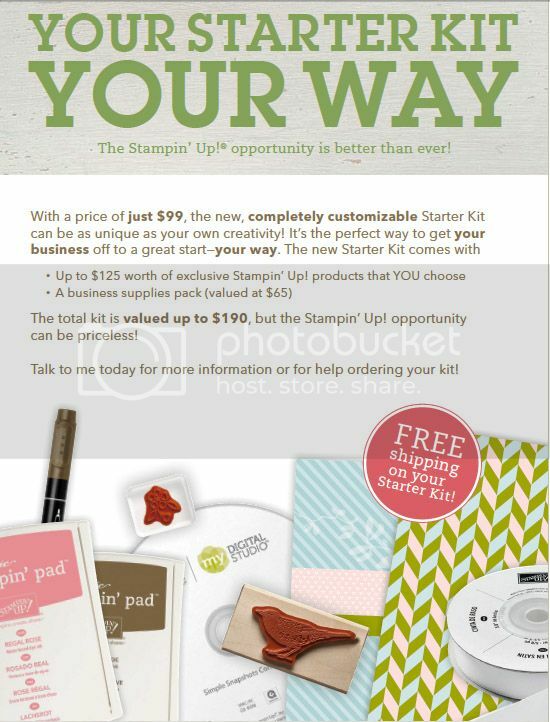 If you like the idea of alcohol inks Stampin Up has given us Stampin' Blends. Don't be intimadated with blending. These markers make it very easy to do. The ribbon is Fresh Fig from our new In Colors this year. Hope this gets your creative mind working. Thanks for stopping by and being patient with me. Take care everyone. Toodles Oh just a reminder that Sale A Bration will be ending soon. If you would like to place an order please contact me personally, I no longer have an online site at this time. Hello Friends – Well it's that time of year where I go on a manhunt to find a cute Christmas Gift Box. Boy oh Boy. I came acrosss one on Dawns Stamping Thoughts (she never disappoints). She called it her Snowman Treat Gift Box. We used a number of SU tools – the Curvy Box Thinlet, the 2" punch, the owl punch, the window punch and the 3/4" circle punch. The carrot nose was cut by hand. I took a 1" pumpkin pie strip and cut on the diaganol. I drew on the mouth and used Blushing Bride Ink and a sponge dauber for the cheek. Use anything you have for the cute embellishments. One piece of candy will fit inside, use anything you like. Oh, I forgot to mention how to attach his head. I used some sticky tape on a small cloths pin. Works like a charm. Hello folks – happy day to you and your family. Today I would like to share with you one of our new stamps sets in the Holiday Mini. It's called "Merry Mice" . It's one of the smaller sets, it only has three images and a couple of sentiments. If your into Christmas Cards I'm sure this is one you will enjoy. This is a cased card from Dawn's Stamping Thoughts and it is called a gate card fold. I chose the single image as my focal point and colored him with my copics. My designer paper has long been retired. Check out the mini and you will find several new and oh so cute Christmas Papers. The way this card works is you open it from the front and you can see your inside panel. Here you can see I used another image with three little mice colored with the same copics. I like this fold but I am having trouble keeping it closed like I would like. Next time I think I will lower my squares a litlle so it hangs down on the bottom panel a little lower, might give it a little more weight. Practice makes perfect right. Thanks for spending a little time with me and I hope you have a great day. If you decide you need some supplies please think of me. All your support is greatly appreciated. So long for now. Toodles and happy stamping. CLICK HERE TO PLACE YOUR SU ORDER!!! Howdy folks – Today I have two more cards to share with you. I have been busy tryng to get more cards made for the shop. The first one is an adorable snowman. I just love snowmen. I bet you get tired of hearing me say that. They make me happy. My base is Garden Green. I used a retired background stamp using Basic Black ink. For some contrast I used our White Organza Ribbon down the center. The scallop and plain ovals are from my nesties collection. Coastal Cabana an Whisper White cardstock. The image is a digital image. I colored this with my copics a while back and I'm not sure what company I got this from. Sorry about that. Instead of making this a Christmas Card I used our birthday sentiment from Petite Pairs. For my second card I used another digital image called Ollie and Archie. So cute. The cardstock is Watermelon Wonder. I dressed it up with some accessories (pearl, doily and bling). Colored this with my copics. I'm trying to get lost of practice. Every one turns out different. OMG Friends – I know it has been awhile but I have a very cute card to share with you today. This card has several different stamp sets, each and every one just as cute as the other. I hope you enjoy it has much as I do, it just makes me happy. I know I sure feel in love with it. If you know me and my work at all you know that I love "whimsy". This oh so cute snowman stamp is from Penny Black called "Warm and Cold". My background is stamped with a retired set of Snowflakes called "Serence Snowflakes". I use this stamp set all the time, the images are beautiful. My colors are Marina Mist, Night of Navy, and Sky Blue. The snowman scarf was colored and shaded with Copic Red Markers. My sentiment is from "Stamps for Life". Boy oh Boy I have a hodge podge of stamp sets that I used on this one. LOL. As I've mentioned before I am volunteering at one of our local hospitals a couple days per week and I'm so excited that I have been asked to put some of my cards in our Gift Shop. Low and behold I have sold several of them and am looking forward to putting some more on display. Wish me luck. Our new Holiday Catty is getting ready to go live tomorrow. I sure would appreciate you looking my way if you are in need of some new images and accessories. 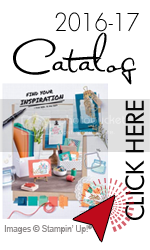 You can go on line and look at the new merchandise if you have not received a new Holiday Catalog. Click here to check it out. Christmas is right around the corner and Christmas cards are on my mind. This is sure to be one on my list. CLICK HERE TO PLACE YOUR SU ORDER !!!!!!!!! Hello My Crafty Friends – Today I have a beautiful card to share with you using one of our new stamp sets "Falling Flowers". It has a matching die set called "May Flowers". This is available in a bundle, you can save 10% when you purchase it as a bundle. I love my color selection, Calypso Coral, a little bit of peach, pink and orange. I aslo used our Old Olive for my lovely swril. My base is Calyso Coral card stock nested with Whisper White. The larger flower was stamped with "Flower Shop" and punched with the matching punch. For my small flowers I used another one of Stampin' Up's punches. I believe it has been retired for some time, but anything you have will do. I fancied up the inside with one of my birthday sentiments from "Herb Expressions" and added a touch of the swril. Click Here to Place Your SU Order !!!!!!!!!! CLICK HERE TO PLACE YOUR SU ORDER !!!! CLICK HERE TO PLACE YOUR SU ORDER !!!! !